The Start-ups in London Libraries [SiLL] project, led by the British Library’s Business & IP (BIPC) Centre and supported by the European Union European Development Fund, aims to give you the skills, information, confidence and connections to turn your idea into a viable business. Did you know that people who use the British Library’s Business & IP Centre (BIPC) services are up to four times more likely to create a sustainable business, with 90% of businesses successfully trading beyond the three year mark? Business information and support, including one-to-one sessions with our Start-up in London Libraries Champion, a business and information specialist. 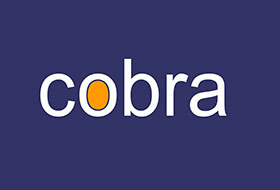 Free access to COBRA, easy to understand and comprehensive factsheets and guides, at home or in store. To find out more complete the Business Enquiry Form or visit the Business Zone on the 1st floor at Idea Store Whitechapel. A programme of free events takes place at Idea Store Whitechapel throughout the year. SEO or Search Engine Optimisation, is a very effective long-term strategy to promote your business. However, keyword research needs to be done first and the SEO process can take a while to "kick in". For new businesses the delay can cause problems. This month, experienced SEO coach Mike Loomey of 3 in 1 SEO will not only explain how SEO works but will look in depth at Google Maps & Google My Business. In addition he will also recommend some other free methods that web owners might use to promote their business with more immediate effect than SEO. 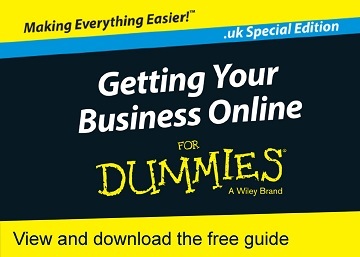 For example, Mike will reveal the names of the UK's 30 most popular citation sites which will list you without charge and bring in some instant traffic. 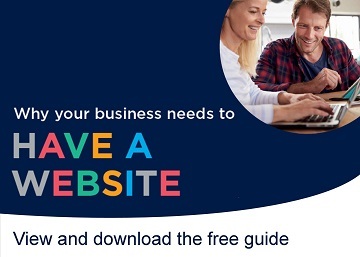 COBRA offers easy to understand and comprehensive factsheets and guides for anyone thinking about starting a small business or working in one. The 'Business Opportunity Profiles' are ideal for the job seeker and for interview preparation, with detailed information on qualifications and skills, market and trading issues and useful contacts. The 'Business Information Factsheets' and 'Business Legal Library' cover trading issues such as raising and managing finance, marketing and trading abroad and trading legally. COBRA is easy to use with a simple search and a keyword search. Factsheets and guides can be viewed as a text file or downloaded as a PDF. COBRA can be accessed at your local Idea Store library or from home or work. Looking for employment advice and support? Idea Store Employment Advice offers face to face advice and online support, to assist you to find that job or change career. Browse, download or burn to CD an exciting selection of audiobooks and eBooks available via the eLibrary. If you are interested in working for Idea Stores, you should look out for advertised vacancies on the Council's web site. Assess your skills in areas vital to achieving and sustaining employment such as time management, communication, motivation and problem solving. Step by step guide to help you to create a Find a Job account, including setting up a profile, searching for jobs and, most importantly, creating a CV. Help with gaining or improving the skills you need for job hunting, including good customer skills, job interview preparation and how to cope with the change of starting a new job. Find out about Universal Credit, eligibility and how to create an account and how to make a claim. Are you disabled, aged 16 to 24 and unemployed? • create a future of possibilities. Book your place now on this exciting 14 week programme for young disabled people living in Tower Hamlets and surrounding London boroughs. National Career Service and Employment Support Service provided in partnership with Krypton Training Ltd.
A wide range of audiobooks and eBooks available to download to your PC or mobile device or burn to CD.